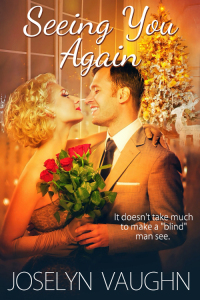 It’s never too late to try again, but only time will tell if Sam and Margie succeed at rekindling their love. The chemistry between Sam and Margie was incredibly strong. I really enjoyed seeing them interact because those scenes felt so genuine. One of the most important things I look for in a good romance novel is some sort of sign that the characters involved in it have also developed a close friendship with each other. This is definitely something that Margie and Sam know something about. Seeing it only made me root for them even more! With that being said, I was confused by some of their interactions. These characters have been together for many years, so it was hard to believe that they’d have as many problems communicating with one another as they did. It would have been really helpful to have some indication of why this was so as it wasn’t at all what I would expect to see from two people who otherwise seem like such an excellent match. My favorite character was Gladys, Sam’s mother. Almost all of the most memorable scenes in this story involved her because of how she interacted with her son and daughter-in-law. This character was so well-developed that I almost feel like I’ve met her before. She was definitely a highlight of the plot for me. While I don’t know if the author is planning to write a sequel, I hope Ms. Vaughn will consider including a few glimpses of what Gladys is up to if she does. Seeing You Again made me feel warm and fuzzy inside. I’d recommend it to anyone else who also enjoys having this reaction to a book.